Guilherme Nunes Barbosa is the CEO and founder of Niobium Studios agency. 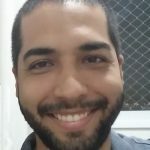 After 12 years of programming, Guilherme decided to start developing games and he have been doing that since 2012 with over 10 games successfully published. Participated in the InovApps competition with the serious game of Technical Training in Nursing who was in 125th place.